79T was a lucky find for us back in 2008. She was a sleeper in the C&T sale, and has done nothing but turn heads ever since. 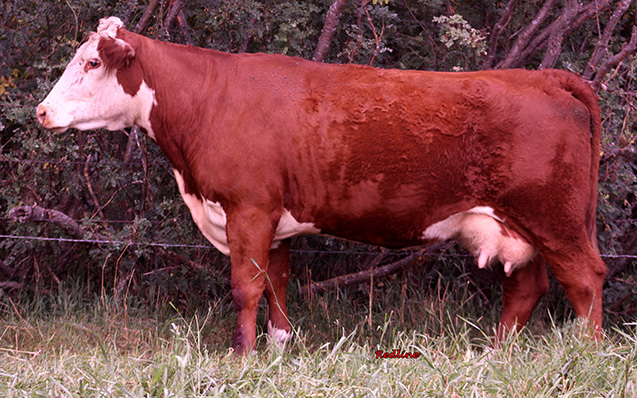 Not a huge cow herself, 79T throws nothing but hip, guts, and eye appeal into her bull calves. 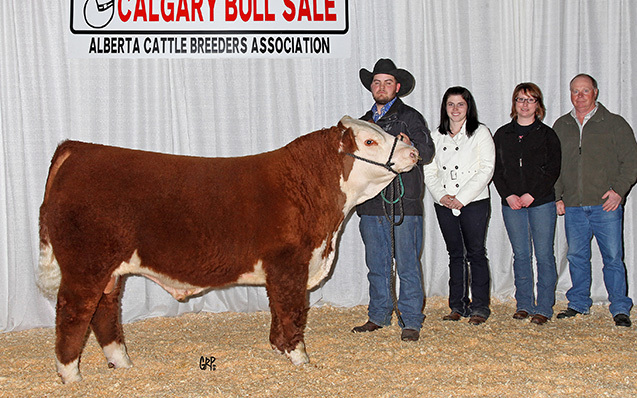 The year she raised Protocol 9Z (Sold to GRLN Livestock), he caught the eyes of everyone at Agribition and at Calgary Bull Sale, where he was Reserve Champion. 79T entered our flush program the next year and is by far our most successful flush to date, with 33 embryos in one flush. Her ET daughters and now entering the herd and we are very excited for what they will produce. Her ET Daughter Redline Buttercup 2C raised an 850lb bull calf this year as a first calver, so milk is not going to be an issue! 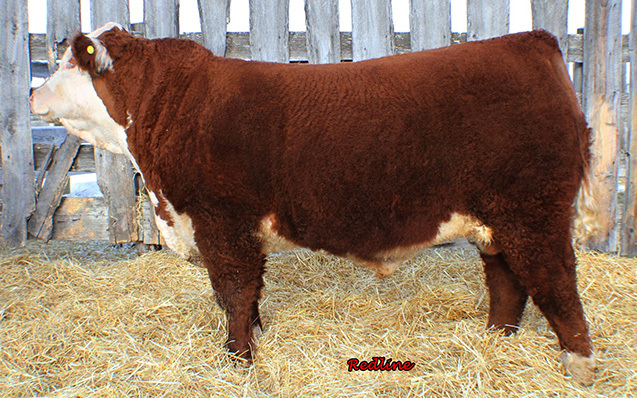 For questions on 79T offspring or embryos, please contact Travis.